As people are generally living longer healthier lives, there has emerged a significant player in the property market; that of the downsizer or empty nester. Traditionally, people stayed in their family home until they died or went into a retirement village/aged care facility; however, now we are experiencing a tsunami of people in the 50+ age group selling the family home earlier and ‘downsizing’ to simplify their life and access the capital they have in their property. This allows them to enjoy enhanced financial security, a more effortless lifestyle, plus indulge in activities such as travel, with a property that is more suitable to ‘lock and leave’. If you are considering downsizing, here are three factors to consider. Research – like with all property purchases, you need to research what’s happening in the current market in the area you live in right now, as this will impact on the price you can achieve; plus, you need to know what’s happening in the market in the area you want to buy into, this impacts on the price you will have to pay. 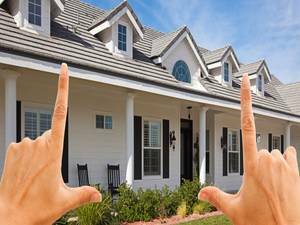 Type of Property – how much ‘downsizing’ are you going to do? Are you ready for an apartment, or is a duplex with a small garden more to your taste? If you have been living in an extremely large residence with substantial sized grounds, you may still want to buy a house, but a much smaller one on a low maintenance block. Or are you ready to purchase a villa in an over 50’s village? You need to really think about why you are downsizing and what your new life will look like, so you make the best possible decision at time of purchasing. Timing – market conditions vary in a cyclical manner, usually driven and influenced by external economic factors. If you are buying and selling in the same market, it shouldn’t make too much of a difference whether the market is buoyant or flat; you will secure a higher price in a more active market, but then again, you will also pay more for your next property than you would in a less active market. In a healthy market, your property may sell much more quickly that you might anticipate, so are you ready to move? Have you found your next property? In a slower market, be prepared for the fact you may have to wait longer to sell. Generally, though you would be expecting to pocket some surplus capital when downsizing, that is part of the attraction. If this isn’t going to happen, perhaps the timing is not quite right. There is a lot to consider, but when all is ‘said and done’, you should now be able to enjoy increased leisure time and some extra cash in the bank!